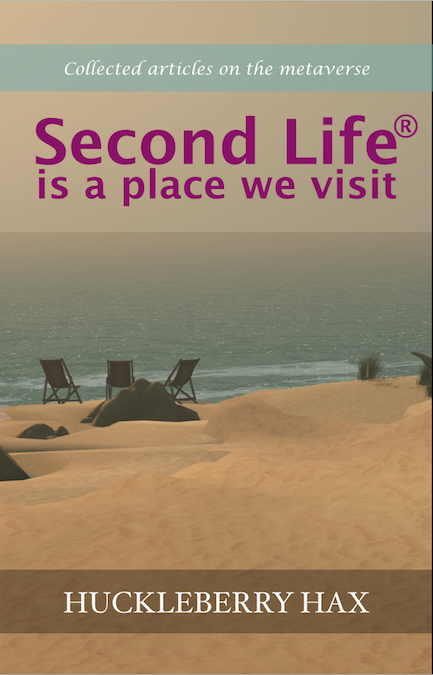 Second Life is a place we visit (2015) by Huckleberry Hax – What the Huck? Reblogged this on The Bergdorf Reports. I’m in the process of reading your book and as I said once before you certainly have a way of pulling the reader into the complexities, science fiction, spiritual and moral implications of a virtual life. I do enjoy your writing style and yes- some nostalgia for me. I like your explanations of the different reasons for a journey to a virtual world. The psychology of the place is still fascinating to me. I was very taken with it all when I first discovered SL but after a time found the very act of living two lives somewhat distracting and time consuming – and hampered my growth in other directions. Easier for me to concentrate on one life!! Nevertheless the imagination of the place encouraged the storyteller/artist in me and though I am no longer “living” a second life I still pop in to visit and enjoy the art that is abundant. Cheers and keep writing!! 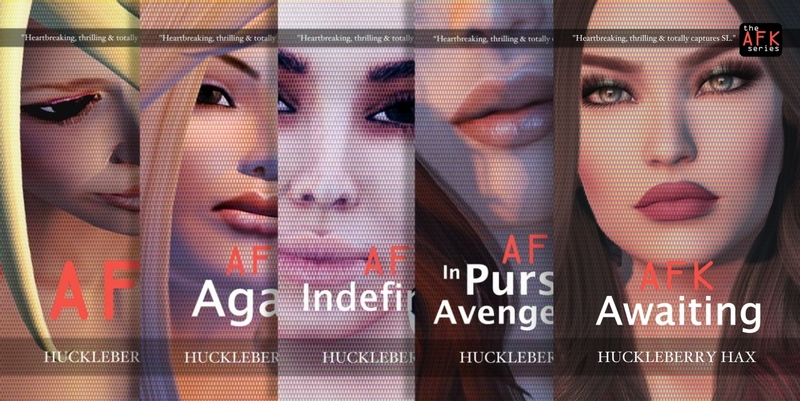 Huckleberry Hax has published a new book and it’s now available for download. I’m especially happy that Huck asked me to design the book cover typography for this work, a second time! 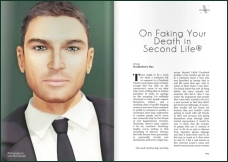 This book is a collection of 42 non-fiction articles, drawn from over eight years of observing and participating in the Second Life landscape. I’ve already read many of these articles when they were first were published, am keen to revisit them, and discover the ones I have not yet read, in this conveniently packaged collection. This is a must-have for any thoughtful Second Life enthusiast. Get it for your Kindle – for your mobile device, or read it for free on Issuu now. When you’re finished, leave a review on the Amazon listing! Being somewhat of a fan girl of Huckleberry Hax I have posted this all over the place, The SL Enquirer, twitter, flickr, facebook and on my own blog, here’s hoping that the expose has the desired effect. Thanks so much, Lacy! Very much appreciated! You get the fangirl award!